If you’re a sustainable farming advocate or an eco-conscious dreamer of some other stripe, perhaps you’ve thought about what it would be like to buy a big plot of land with a group of like-minded compatriots — to move off the grid, to grow organic crops, and to live in such a way as not to harm the Earth or one’s fellow man. To start anew, as it were. Toward that end, thousands of ecovillages have been started around the world. Most of them — especially those with a significant farming component — have, for better or worse, required members to abscond to some remote, isolated plot of land in the countryside. 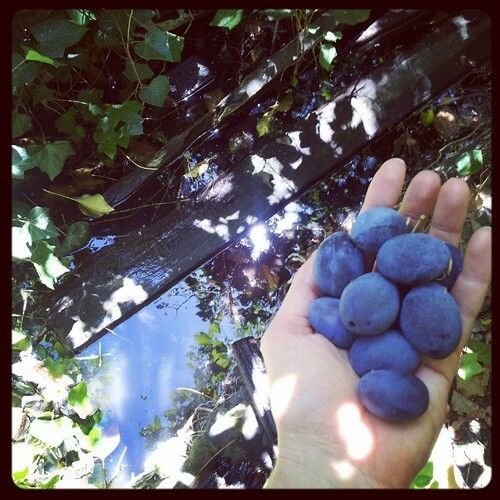 Now, a new ecovillage farm in the East Bay hopes to provide a new model. The founders of Wild and Radish are planning to build a sustainable urban farm and residential community on a ten-acre plot of land in El Sobrante, a small (2.8-square-mile) municipality that’s just twenty minutes from downtown Oakland. “Really, nothing like this has been done before in urban areas,” said May Nguyen, one of the company’s founding members. The future site of Wild and Radish's urban farm and ecovillage (via Wild Radish). The project is the brainchild of six Bay Area food justice advocates, and their plans are nothing if not ambitious: Four eco-friendly communal houses will be built on one acre of the property, and the other nine acres will be reserved for a “backyard permaculture farm,” according to Nguyen. 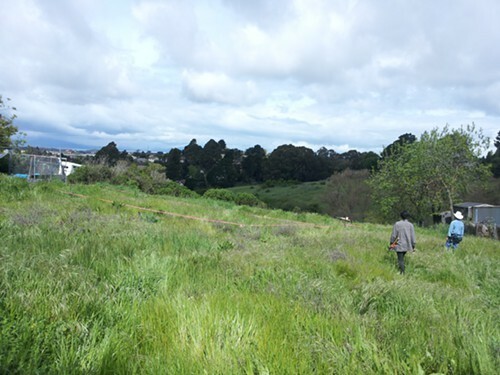 Two of those acres will be set aside as a wildlife preserve, and the rest will be used to grow organic fruits and vegetables in a partnership with various nonprofit organizations (including Oakland-based Planting Justice). (Wild and Radish itself will be run as a for-profit limited liability company.) The ecovillage will also be different from most existing projects because the houses will be rental properties, so prospective tenants won’t have to invest a couple hundred thousand dollars to buy a house. Co-founder Leah Atwood noted that there will be an educational component as well — a classroom facility where ecovillage residents and other interested parties can learn about farming, sustainable building methods, and so forth. Overall, the goal is to create a “scalable, replicable model” for what this kind of sustainability-minded community might look like in a relatively urban setting, Atwood said. El Sobrante, in particular, will serve as an interesting case study because of the municipality’s “peri-urban” location, right on the outskirts of a larger city. To the uninitiated, creating an ecovillage might sound an awful lot like escaping to a commune, but Nguyen said that that particular term — with its connotations of Sixties- and Seventies-era flower children and unorthodox religious practices — is severely outdated. Instead, she and Atwood speak of forming an intentional community: a place where people with common values can create a kind of society from scratch, eschewing the “pre-formed boxes” of existing cities and residential developments. That said, the agricultural component is perhaps the most central to the founders’ vision. Atwood said the plot of land is especially well suited for nut and fruit trees, but that the goal will be to grow as wide a variety of crops as possible: hazelnuts, avocados, artichokes, stone fruits, berries, leafy greens, and more. Because non-profit organizations will run a large portion of the farming, Wild and Radish will be able to distribute the produce to nearby low-income communities at less-than-market rates. According to Atwood, the founders are considering all kinds of outlets: farmers’ markets, CSA boxes, a truck-based mobile fruit and vegetable vendor, and perhaps even a restaurant of their own. The fact that all of this will take place in a semi-urban setting is crucial — after all, the founders could have purchased a cheaper, easier-to-farm plot of land if they’d been willing to relocate into a more remote rural area. But, as Atwood noted, most of the world’s population lives in or near urban areas. “If we’re going to rebuild our food system in a really resilient way, we need to look at how a lot of food can be produced in a densely populated location,” she said. Nguyen, on the other hand, cited Karl Marx’s notion of a “metabolic rift” — the idea that people are now physically cut off from where their food is grown. What better place to heal that rift than in a peri-urban location like El Sobrante — which, as she pointed out, means “leftovers” in Spanish? “We want to transform ‘leftovers’ into something that’s resilient and can thrive,” she said. For now, Wild and Radish is in the process of seeking investors. The plan is to restore an existing house on the property so that several of the co-founders can move in this summer. If all goes well, the first crops will be planted this winter, and by next spring the group can break ground on the first communal residence.